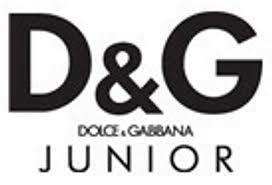 D&G Kids is a line of clothing for children from the famous designer brand D&G. Dolce & Gabbana is an entry level fashion house founded in 1985 in Legnano by Italian designers Domenico Dolce and Stefano Gabbana.The two met in Milan in 1980 and designed for the same fashion house. In 1982 they established a designer consulting studio; in time it grew to become “Dolce & Gabbana”. They presented their first women’s collection in 1985 in Milan, where a year later their store would open its doors. In 1988, they launched their leotard line, and in 1989 they began designing underwear and swimming costumes. Dolce & Gabbana started to export their products to Japan and other countries like the U.S., where they founded their own showroom in 1990. In 1992, the same year they presented their men’s collection, they also launched their first perfume Dolce & Gabbana. They won the Woolmark award in 1991, and the prize “most feminine flavor of the year” in 1993. Towards the end of the 1990s their sales were around 500 million dollars and in 2003 their revenue reached $633 million. By 2005, their turnover was €600 million. 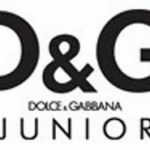 All D&G children clothing are made in Italy. Get up to 40% off on kids wear at D&G Kids stores across Dubai. Get 30-40% off on kids wear at selected Dolce & Gabbana Kids outlets across Dubai during the 3 day super sale. Avail 40% to 50% off on kids wear at selected Dolce & Gabbana Kids outlet located at Dubai Mall.